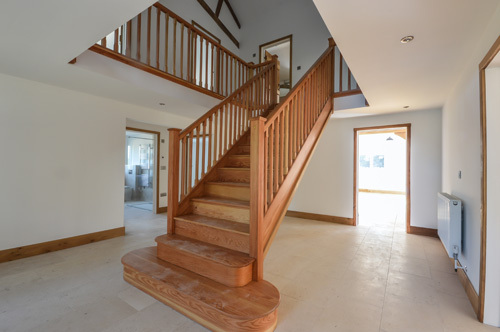 An exclusive development of just five, beautiful brick, flint and timber barns, which have been carefully converted from the original farm buildings of Dotterell Hall Farm, set in the idyllic village location of Balsham. Perfectly positioned for family living, yet offering easy access to the stunning city of Cambridge. 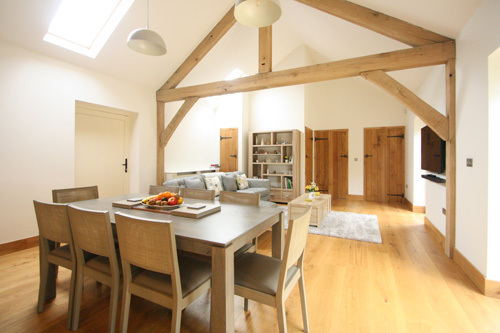 Dotterell Hall Barns is situated on the road between Fulbourn and Balsham, some 7.5 miles from Cambridge. Fulbourn has a traditional range of local shops and amenities. Located in the centre is an independent butchers, greengrocers, pharmacy, Post Office, Co-Op supermarket, health centre and library. In addition there is also a selection of public houses and takeaway restaurants. Balsham has two pubs and a shop/post office, historic parish church and primary school. There is secondary schooling at Linton Village College together with Hills & Long Road sixth form colleges in Cambridge and renowned independent schools in both Cambridge and Saffron Walden. The Genome Campus at Hinxton, Granta Park at Abington and the Babraham Institute are all found on this side of Cambridge within easy reach via the A11 together with the Science Parks to the north-east of the City. Cambridge - A Truly Inspired City Extraordinaire. The historic City of Cambridge has so much to offer, with its exceptional academic reputation, glorious architecture, fashionable shopping centres, museums, galleries, theatres and restaurants - there really is something to suit all tastes. 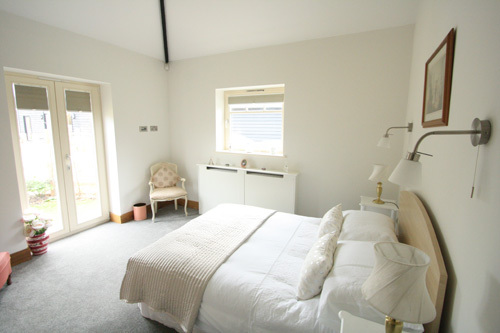 For the commuter there is ready access to the west of the property onto the A11 dual carriageway which leads south to the M11 (Junctions 9a & 10 - via the A505) and north to the A14. Mainline rail services are available from Whittlesford station in to London Liverpool Street Station together with services from Cambridge to Liverpool Street and Kings Cross. Stansted Airport is 26 miles to the south accessed via the M11 (Junction 8). The M25 and central London are 47 & 54 miles away respectively. 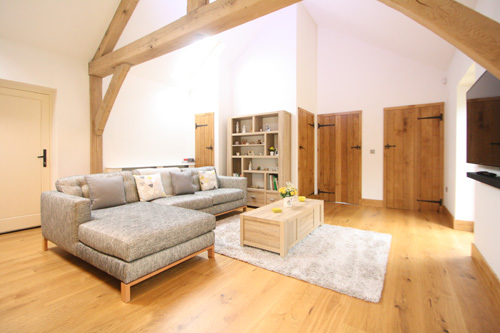 While each property has been individually designed and the specification carefully chosen, input from buyers wishing to purchase off plan is very much welcome. NB: Images are samples of previous developments and are for indicative purposes only. Click thumbnails to view photos. 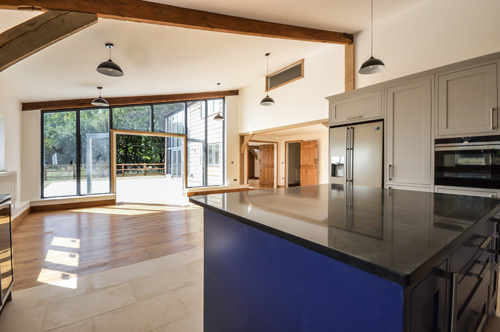 All window and doors are new, purpose-made, bespoke units from VELFAC. Traditional flush side hung casements are combined with French Casement patio doorsets to provide excellent, safe and secure, dual purpose functionality. These composite windows and doors bring together durability and versatility by being aluminium faced externally, with the beauty and warmth of natural wood internally. Seamless factory finished, then fitted with argon filled double glazed window panes. All portals are fitted with integrated multipoint locking systems for insurance compliant security and come with a 12-year warranty. 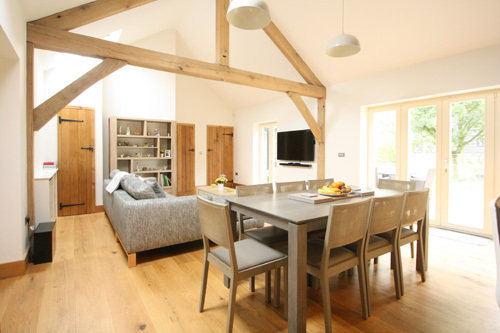 Where fitted, these top-hung, conservation rooflights from VELUX flood the properties with direct sunlight while maintaining the high energy efficiency expected of modern conversions. Handmade French oak, ledge and braced with hand beaten irons and fittings. Moulded oak architrave and skirting to match. 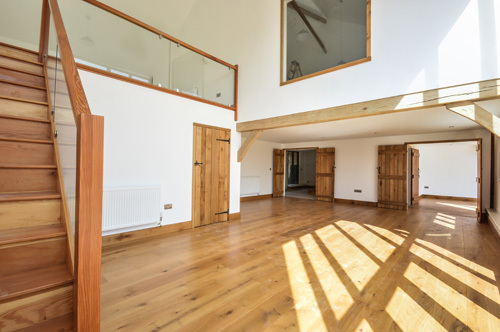 Floors finishes are a mix of wide-board French oak floorboards, natural stone/porcelain tiling and carpeting. 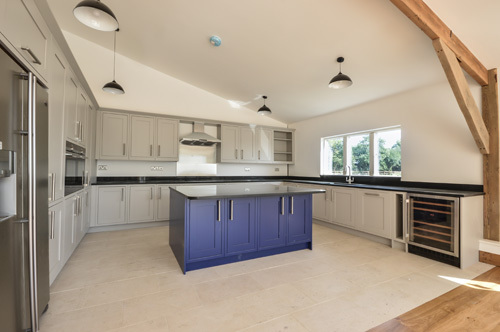 Bespoke design, these kitchens, from HALVANTO, are created with quality, fitted units, a full range of appliances, from SIEMENS and FISHER & PAYKEL, and finished with 30mm deep black granite/composite worktops and upstands. 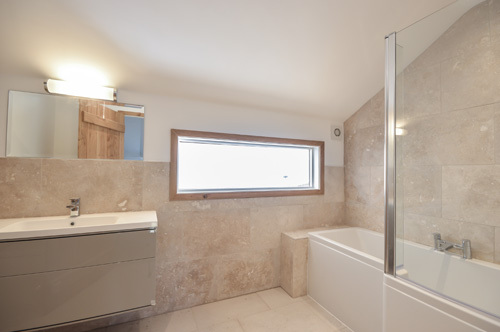 These are fitted with quality sanitary ware, from VILLEROY & BOCH, RHOPER RHODES and HANSGROHE, heated towel rails, thermostatic shower and extensive natural stone/porcelain tiling with a thermostatic warm floor system underneath. Chrome/brushed steel sockets throughout and recessed LED spotlights in kitchen, bathrooms, en suites and other specified areas. Smoke detectors and external infra-red security lighting fitted to all properties. Telephone points in specific rooms, adaptable cabling for a centralised media hub and security systems as standard make the best use of technological advances. 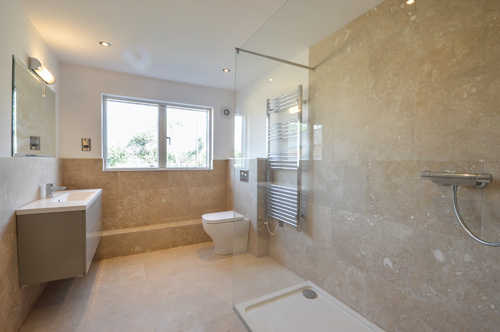 High pressure hot water and zoned, multi-thermostatically controlled heating via radiators, with warm floor systems installed under all tiled areas. Boilers are top of the range VAILLANT models which are controllable from your phone. Each private, landscaped garden provides large sandstone paved patios and pathways with extensive lawns. Post and rail/wire fencing, with indigenous hedging and specimen tree planting, defines property boundaries and breaks up the landscape. For sales enquiries, please contact us HERE.